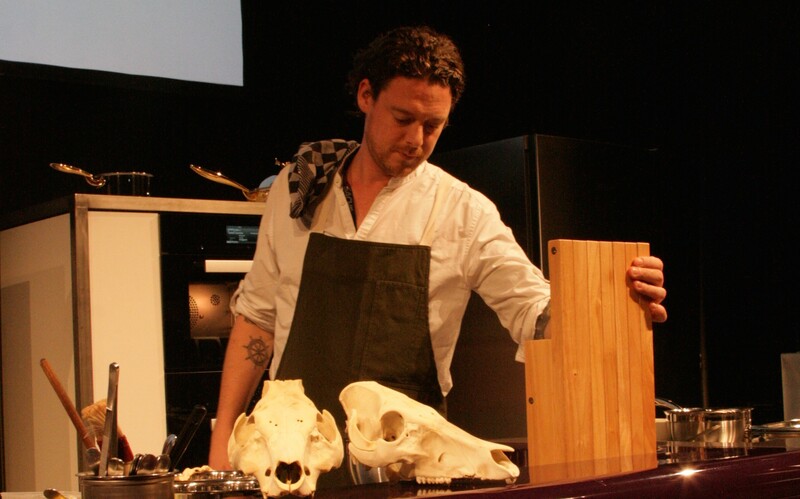 Kobe Desramaults, one of the most internationally recognised Belgian chefs, has announced he will close his restaurant In de Wulf in December 2016. Speaking on a radio programme on Studio Brussel yesterday, Desraumaults said “I am 35 years old and I have been working hard in this restaurant for 12 years. It is now time to reflect on what to do next,” he said. “I have given my all for the past 12 years at In de Wulf. I would have to be mad to continue doing the same thing,” the Flemish chef said. The Flemish chef created one of the top destinations in the world for foodies (it was number 1 in the Top 100 European list of Opinionated about Dining in 2014 and 4th in 2015) in the ‘middle of nowhere’ in Dranouter. In De Wulf, which has a Michelin star, and which disappeared from the 51-100 list in the 50 World’s Best Restaurant list this year, has been Kobe’s focus for the past 12 years. Desramaults, who also has two restaurants De Vitrine and De Superette (also a bakery) in Gent, has not announced any further plans though he said he had lots of ideas. He simply does not remain wedded to the same place (Dranouter) any more. His Michelin starred restaurant in Dranouter, a village in West Flanders on the border with France has become a major culinary destination because of the unique style of cuisine without classic dishes or traditional sauces.